March has been a rainy month in Napa Valley. As members arrived at Robert Biale Vineyards late in the afternoon it was cloudy and looking like more rain. Robert Biale Vineyards is recognized as one of the best producers of Zinfandel in the U.S. They were recently recognized as the 2018 Winery of the year by the American Fine Wine Competition. This national competition annually invites hundreds of wineries, who are recognized as top producers in their categories, to submit their wines for judging by a prestigious panel of sommeliers and wine experts. Three members of the winery education team conducted the tasting that was accompanied with charcuterie platters and artisan cheeses. Our lasting began with 2017 Biale Rosato, a great choice to begin the tasting. 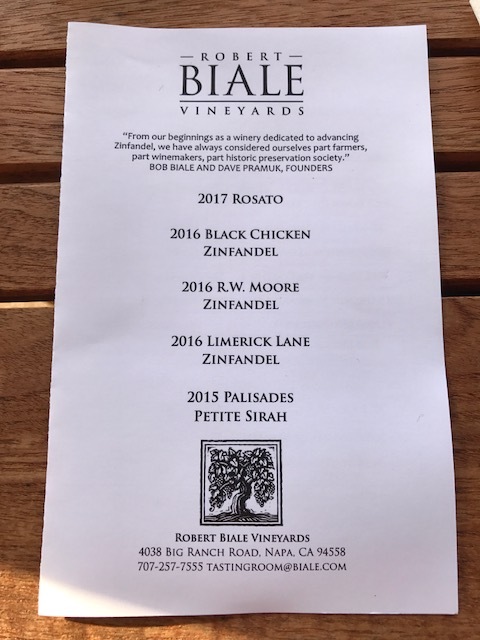 Next was the 2016 Biale Black Chicken Zinfandel, a favorite of the wineries many fans. The Biale R. W. Moore Zinfandel followed and we moved on to the 2016 Biale Limerick Lane Zinfandel. Our ﬁnal wine was the 2015 Biale Palisades Petite Sirah, a big, bold wine that was outstanding. These wines were so good that members were getting second and third pours throughout the lasting. 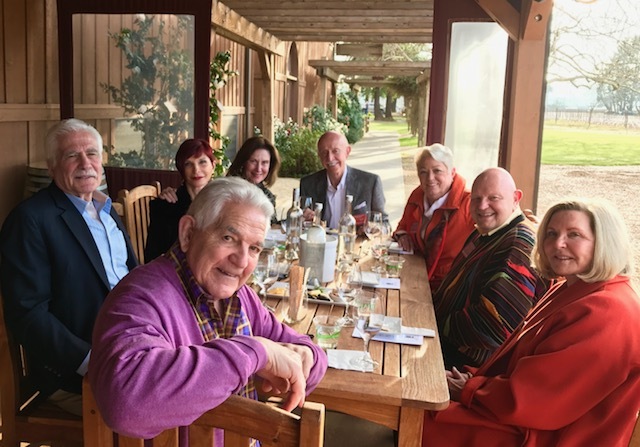 After a beautiful afternoon at Biale Vineyards we headed to Yountville to enjoy a wonderful dinner at Hurley’s restaurant. Another great day in Napa Valley.